EarthBound, the classic SNES title is available today for the Wii U gaming console. 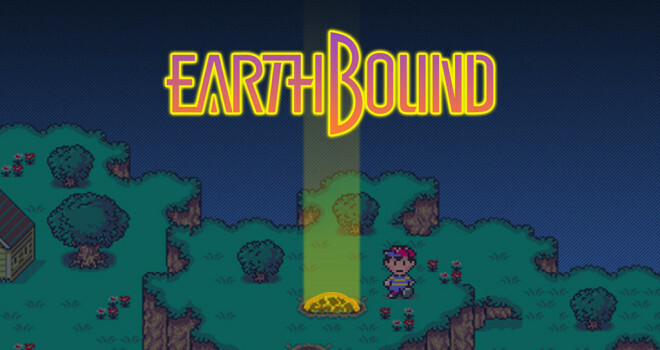 EarthBound is a RPG that follows the character Ness and his friends as they save planet Earth from Alien Giygas. EarthBound will be available to purchase in the eShop for $9.99. I can’t believe they’re charging so much for these old SNES games. If these don’t come down I’ll never buy them. $5 is completely reasonable for such an old game. People emulate these all the time. You want to stop piracy, don’t charge an idiotic price to re-buy the game when it’s made it’s money already. This isn’t a new game, dude. It’s a best seller.